Can you beat the machines? 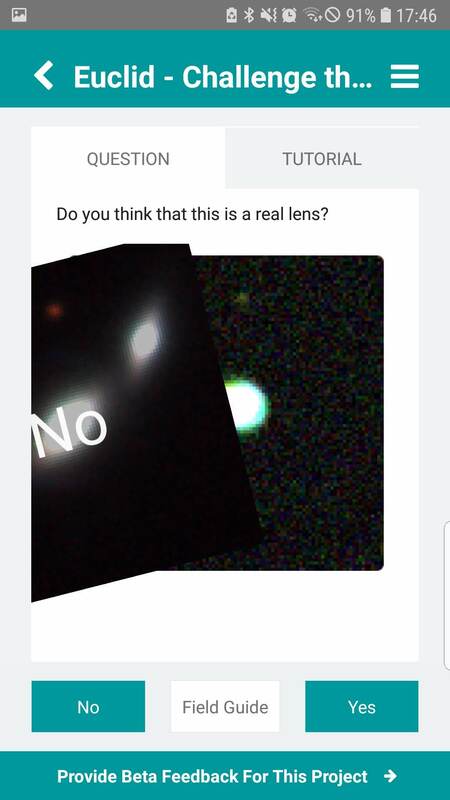 A new mobile optimised Zooniverse citizen science project developed in collaboration with the DECS team aims to answer this in the context of identifying gravitational lenses. The Euclid telescope, due for launch in 2021, aims to understand why the expansion of the Universe is accelerating and determine the nature of the dark energy responsible for this. In the course of doing this Euclid is expected to resolve over 100,000 strong gravitational lens systems which offers an ideal opportunity to find rare lens configurations. The problem is that these new lenses need to be identified reliably and on a reasonable timescale. But the most reliable method, at this time, is one heroic human expert looking at the images by eye which is obviously very time consuming. In an effort to resolve this problem a variety of artificial intelligence algorithms (AIs) have been developed and tested against simulated data. They did well but there is still room for improvement so this latest citizen science experiment is asking the public to help train the machines to perform even better. It’s also setting them the challenge to identify rare lens configurations that the experts and AIs miss and potentially ‘beat the machines’! Obviously, there are no images from Euclid yet so AIs are being trained, and tested against humans, using simulated images based on the Kilo-Degree Survey (KiDS). This ambitious survey is analysing 1500 square degrees of the southern hemisphere sky using the VLT Survey Telescope based at the ESO Paranal Observatory. 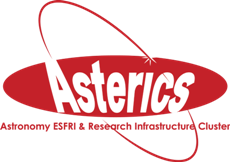 Andrew Davies, an Open University, UK PhD student and researcher on the Challenge the Machines project says “We’ve based our simulated images on KiDS as it’s similar to the planned Euclid survey, in that it is undertaking a multi-band survey. Having this basis in reality allows the simulated images to look better, more appealing to the public, and hopefully very similar to the results we will get from Euclid in the future.” The AIs have already had a look at all of the data so now the project needs humans to look and the data and allow a comparison to be made between the two techniques. 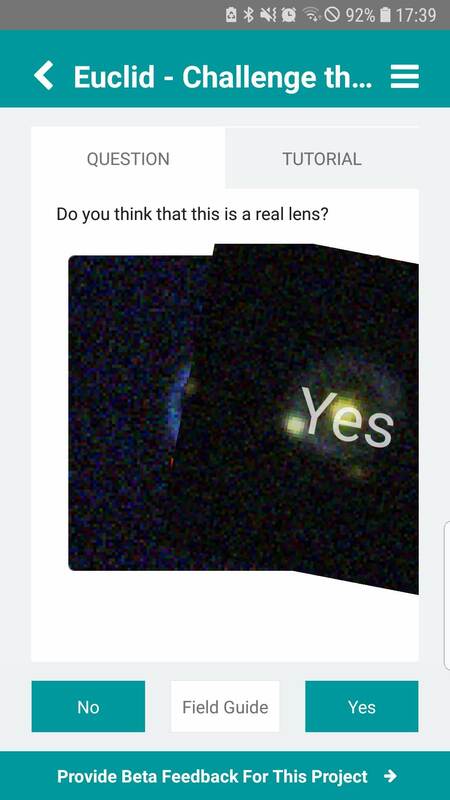 The task for the humans (once they’ve been guided through a short tutorial) is to simply answer ‘Yes’ or ‘No’ to the question ‘Do you think that this is a real lens?’. Of course, some are more obvious than others and the included ‘field guide’ gives more example of what are and are not considered lenses. The experiment is currently under review on the Zooniverse platform but it is hoped that release will take place in the next few months and the battle of human vs machine can begin!